This is a very common condition that we treat regularly in our office. 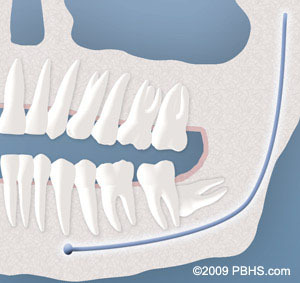 When inadequate space prevents the teeth from erupting into proper position alignment for chewing and cleaning they are called impacted. Impactions occur when wisdom teeth come in at the wrong angle or simply because your mouth is not large enough to accommodate another set of molars. 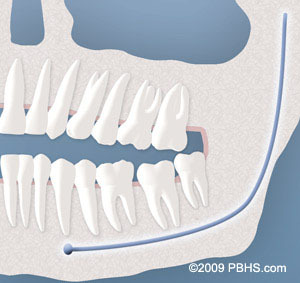 That’s why 9 out of 10 people find themselves with at least one impacted wisdom tooth that requires extraction.